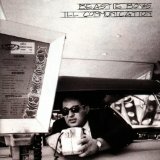 "You're so cute when you're frustrated"
Ill Communication is ranked 3rd best out of 14 albums by Beastie Boys on BestEverAlbums.com. 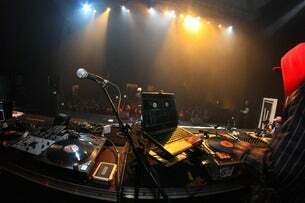 The best album by Beastie Boys is Paul's Boutique which is ranked number 179 in the list of all-time albums with a total rank score of 15,385. Members who like this album also like: OK Computer by Radiohead, Nevermind by Nirvana and The Bends by Radiohead. Rec Room, Buffalo, United States. Bogart's presented by Cricket Wirel, Cincinnati, United States. Delmar Hall, Saint Louis, United States. Related links: top tracks by Beastie Boystop tracks of the 1990s, top tracks of 1994. Showing latest 5 ratings for this album. | Show all 397 ratings for this album. I knew this album even better than I thought I did. Mid-90s staple. I love the Beastie Boys, but here they started to dip down in quality. For some odd reason, this album is the only record I've heard that not only tries to separate itself between two very different sets of music (almost two different albums really), but does so extremely well. The first half feels like a mix between Licensed to Ill's energy (but mellower) and Paul's Boutique's intelligence (but simpler), and done so extremely well as the first half is an absolute joy to listen to. The second half can turn a lot of people away, but for people that are fans of such things as Boutique's B-Boy Bouillabaise and Abbey Road's second half, it's a hip-hop journey and an incredible listen. The Boys know how to use their instruments, which was proven in Check Your Head, and boy do they ever use them well. I've heard several critics say that the 2nd half of this album isn't as strong as the 1st half. I disagree with them. The best album of the Beastie Boys! "Sabotage" is the best song on this. "Get It Together" sounded like they were free-styling and Q-tip made it awkward by using the N-word in mixed company. This album must be where they really got into making the lyrics difficult to hear and understand, thus spawned the title. This plays almost like a b-side to Check Your Head. It doesn't hang together quite as well but contains some of the Beasties best material. A bit long, but there are too many great songs to fault it. The Scoop is a personal favorite.